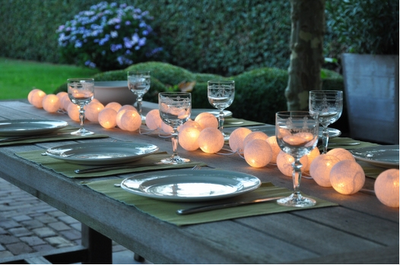 I wanted to make their night special, so I decided to come up with a simple but memorable tablescape for their dinner. I had these pagoda place mats stored away and had not had the chance to use them and I thought this was a great opportunity. That was my starting point for this tablescape. But I couldn't find the sizes I wanted, so I decided to make my own. I'm so glad I decided to make them. I always feel good when I save money by making things myself. Want to learn how to make paper lanterns? Get my tutorial HERE . I added these glass “chargers” for a bit of sparkle. They actually aren't even supposed to be chargers. I found them in the candle section of IKEA and I guess they're meant to hold pillar candles. The funny thing is the inside is shaped like a dinner plate! When I saw them I was like “no, that's a charger plate” lol. Finished the table setting with my vintage gold flatware. Isn't that elephant motif cool? I'm assuming they're from India? My sister and her husband had a great time with amazing food. They let me taste some leftovers...so good. If you're interested in making the paper lanterns, remember I have a tutorial! Click HERE to see it, and maybe pin it for later. I can totally see these paper lanterns being used as garland. And, the good thing is that they are so easy to make, you can get a kiddo to help! 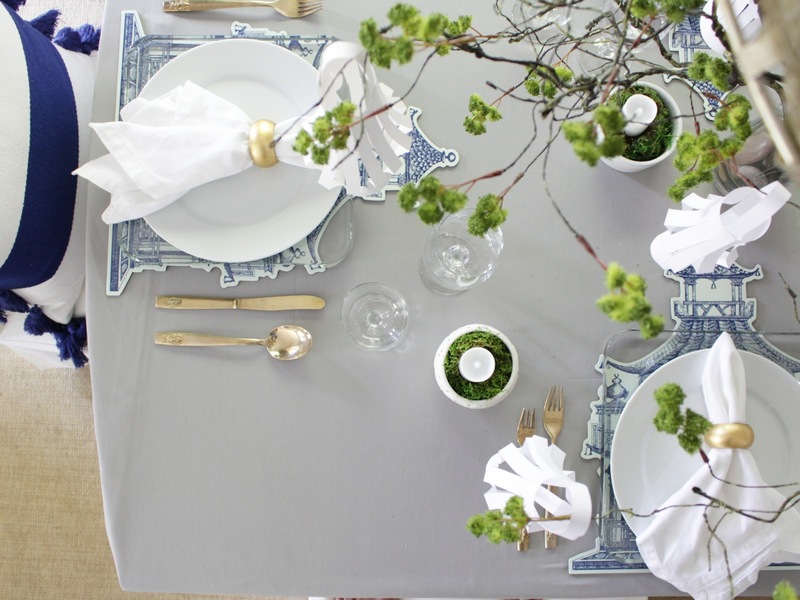 If you're into tablescapes, check out some other ideas here in this blog by clicking on "Setting The Table"
Oscar! You've done it again! I always love your tablescapes. Most of them are etched in my mind as "table goals" forever....When I saw your email about a new tablescape I came RUNNING over! So many ideas I just want to copy....you do not disappoint my friend! Thank you again! Oh Julie, or Jodie lol..
Beautiful tablescape!!! The picture are gorgeous😍😍😍 Your tablescape are def the Best!!! You are my idol. It'll be cool to run into you next time we visit San Diego. Cool! These dinnerware set looks so perfect! Completely matched with the environment.